Unfortunately, despite the high prevalence of preterm birth, the causes are still largely unknown. 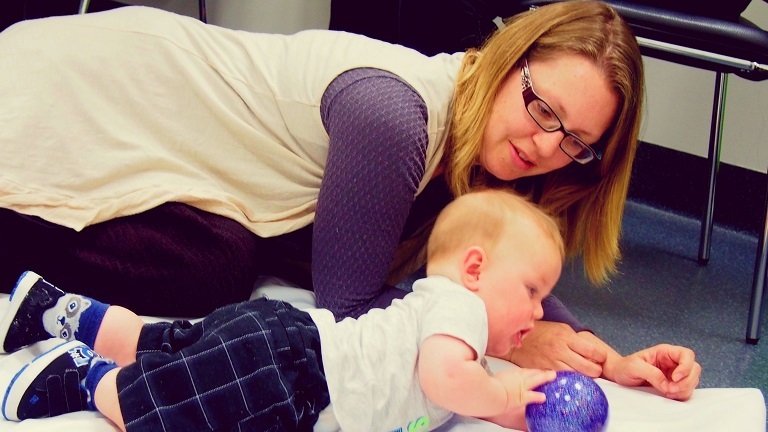 Researchers at the Mothers and Babies Research Centre are working to improve the understanding of human pregnancy and what can cause problems to arise, potentially leading to premature birth. The regulation of pregnancy and in particular, the length of pregnancy, has been a major area of study for the Director of the Mothers and Babies Research Centre, Laureate Professor Roger Smith AM, for over 30 years. His research group has already identified several factors that may contribute to preterm birth including genetics, regulation of the placenta, inflammation and even co-ordination of contractions in the muscle of the uterus, the myometrium. Laureate Professor Smith AM and his team have also been instrumental in determining hormonal factors that play a critical role in regulating the length of pregnancy. This hormone, known as corticotrophin releasing factor (CRH), is important in the normal stress response and expression in the placenta has been shown to be integral in pregnancy, a finding by hunter researchers that has dominated the field of pregnancy physiology worldwide. Although preterm birth is known to affect over 24,000 babies each year in Australia, the treatment for women who are at risk of delivering preterm in very limited. Using new methods of ‘packaging’ drugs so that they are able to specifically target the uterus, the Mothers and Babies Research Centre are revolutionising current methods of treatment for preterm birth. In this way, traditional drugs can be administered in a safer fashion during pregnancy so that there are less side effects for both the mother and the baby. This technology is also being trialled for the treatment of ovarian cancer. The Mothers and Babies Research Centre are working to address this important disparity in pregnancy outcomes in Indigenous women. This group have pioneered the widely successful Gomeroi Gaanyggal research project which addresses key health outcomes in Indigenous communities including Tamworth and Walgett by increasing awareness and healthcare accessibility. Using art as a medium between communities and healthcare professionals, the Arts Health program run by the Gomeroi Gaanyggal project is able to reduce barriers to the healthcare system and aims to improve pregnancy outcomes in Indigenous women. Other pregnancy complications including intrauterine growth restriction (IUGR) and maternal stress are also a research focus for the Mothers and Babies Research Centre with projects assessing how adversity during pregnancy can alter normal fetal growth and impact on behavioural development in early life and childhood. There are several clinical research studies being conducted at the Mothers and Babies Research Centre and the John Hunter Hospital including the BOOSTII (Benefits of Oxygen Saturation Targeting), 2CANS (Cardiovascular Adaptation of the Newborn Study), PET (Preeclampsia research), ProPrem (Effects of Probiotics and Late Onset Sepsis in Very Preterm Infants) and TUB study (To Understand Birth). More details of these studies can be found through the University of Newcastle.